ARE YOUR CAR PARK MARKINGS UP TO SCRATCH? Does your car park need remarking? Or to be marked to decongest traffic flow or safety hazards? Car parks are consistently bustling with vehicle and foot traffic. As such the solution required for car park line marking needs to be industrious, with strong adherence to the substrate, so as not to wear too quickly. Mainliner can offer a large variety of solutions to define structure, and create order including the direction and movement of traffic. 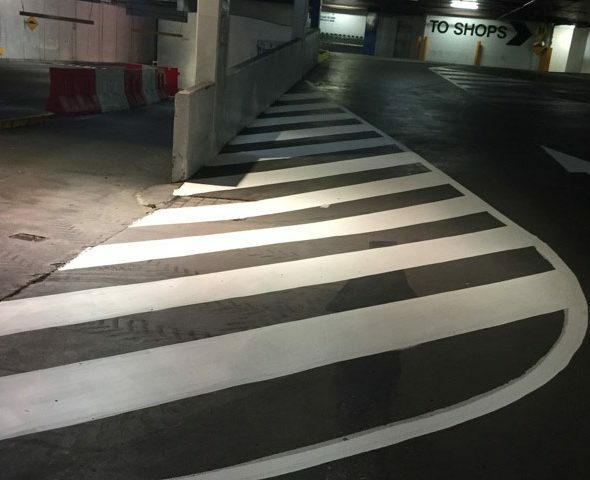 We offer car park line marking in Melbourne and solutions that will stand the test of time. Our machinery is fully equipped to apply extruded thermoplastic, rubber chlorinated, and water borne paint, concrete sealers, epoxies and polyaspartic coatings depending on your surface requirements. We can even apply non-slip coatings for pedestrian areas for complete car park marking, not just the placement of cars. The service we provide is focused on simplicity and precision. The lines we mark are striking, easy to interpret, long lasting and designed to optimise, making the most out of any space. An experienced and professional service, we can help you develop a long term, effectively line marked car park. One that leads customers straight to your door. This includes helping you to determine the right material for your surface. 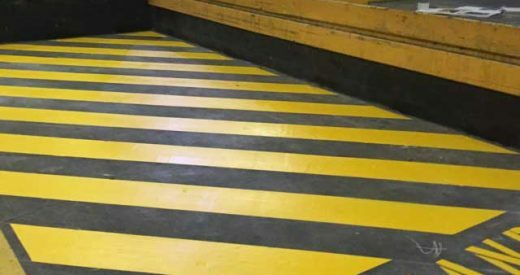 Furthermore, we offer a wide range of symbol painting and safety lines in a variety of colours. 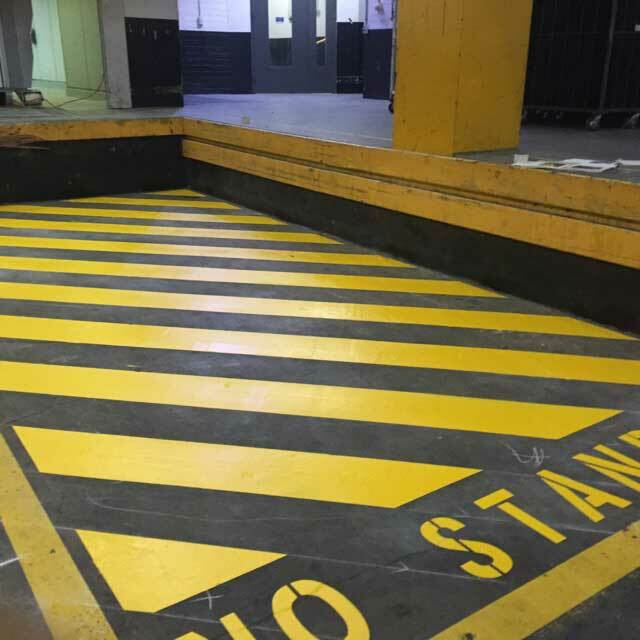 We can also offer products such as bollards, sign installation wheel stops and speed bumps. So, for all your car park line marking needs, choose Mainliner, and lets discuss what we can do together.